I have been hearing the same Christmas songs, for most of my life, but never tire of them. 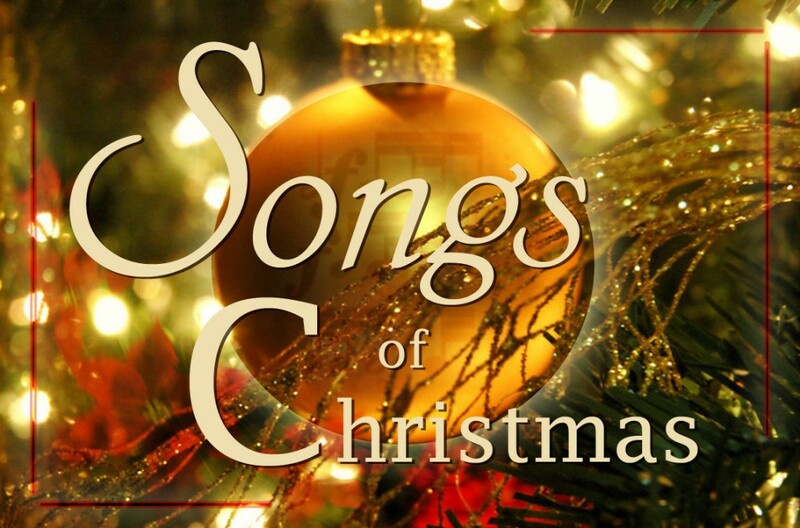 I know I will leave out some great Christmas songs, but will list some of my all-time favorite Christmas songs with name and writer/writers of the songs. This is one of most well-known Christmas songs. 50 million copies of this song have been sold, which makes it the best-selling song of all time. Irving Berlin wrote White Christmas in 1940, but there is some question, if that is the correct date. 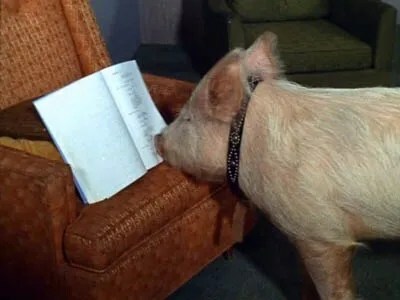 Berlin told his secretary, that he had just written the best song ever written. That was saying something, since Berlin had written a lot of very well-known songs over the year. 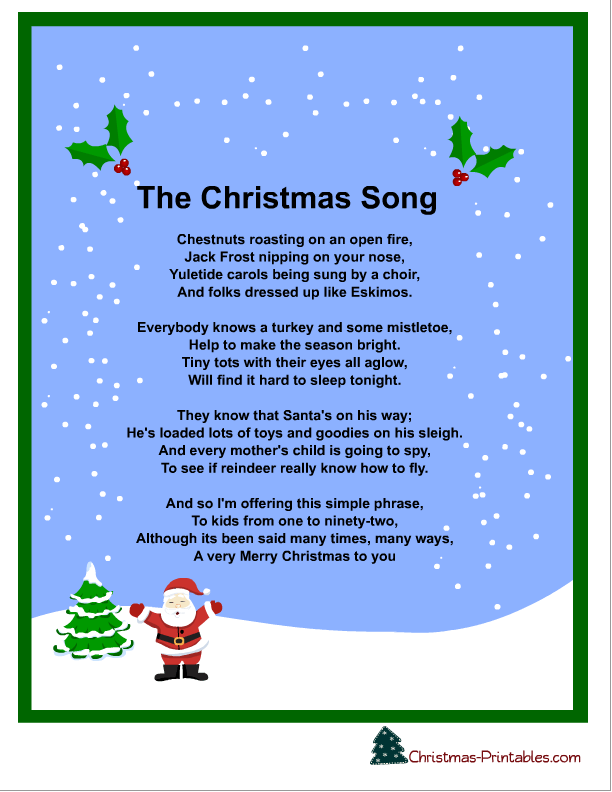 Bing Crosby was the first to sing this song, when he sang it on Christmas Day 1941, on his radio show. It is ironic that the song was first sung just 18 days, after Pearl Harbor had been bombed. 500 versions of the song have been recorded. Doye O’Dell was the first singer to record Blue Christmas, but Ernest Tubb took it to #1 on the Most Played Country Juke Box Records chart, in January of 1950. Elvis Presley recorded it in 1957. I like both the Ernest Tubb and Elvis Presley versions best of the over 65 recorded versions. It is amazing that the songwriter Placide Cappeau was an atheist, and it is surprising, that an atheist could write such power words and music. This is one of my favorite Christmas songs, to hear sung at Christmas. John Sullivan Dwight, who was an Unitarian minister wrote the song for singing in 1855. O Holy Night was the second song, to be heard in radio history. Tenor Enrico Caruso recorded, what is the most famous version of the song in 1916. It isn’t Christmas, if this song is not heard at least once, during the Christmas season. Bing Crosby was the first to record I’ll Be Home For Christmas in 1943. It was recorded during World War II, to honor servicemen overseas, who weren’t able to come home for Christmas. 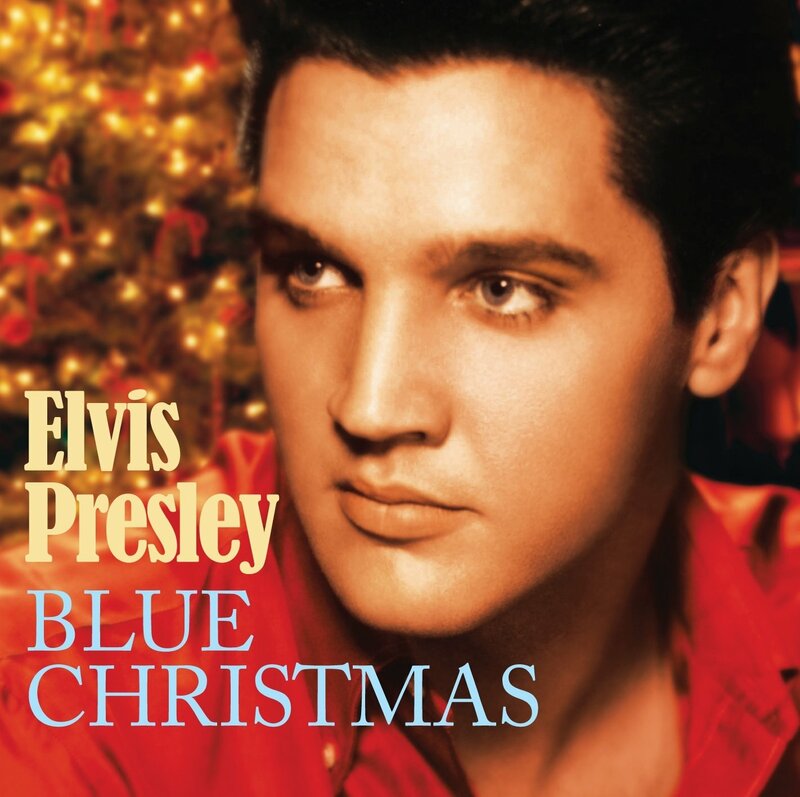 I know firsthand, how this song hits home, since I spent Christmas in Hawaii in 1963, 1964 and 1965. I played the song on my record player in Hawaii, but it wasn’t well received by the other soldiers in the barracks, who said they didn’t want to be reminded, that they would be going home for Christmas. The Crosby version peaked at # 3 on the Billboard chart. Astronauts Frank Borman and Jim Lovell requested this song be played, while on a Gemini 7 mission, in December of 1965. My personal favorite recording of the song was by Johnny Mathis. Phillips Brooks was inspired by visiting Bethlehem in 1865, and three years later in 1868 wrote the words to O Little Town of Bethlehem. His church organist Lewis Redner wrote the tune for the song. I like this song so much, that I have sang it often, over the years for special music at church. The song conjures up images of how it was on the night Christ was born in Bethlehem. There is little information about Christmas In My Hometown, but did find out the writer was Lassaye Van Buren Holmes. 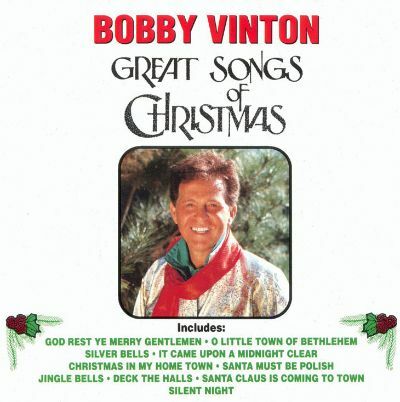 My favorite version of the song was the Bobby Vinton version, but Charley Pride also recorded an excellent version of the song. This song reminds me of the times we used to travel, to spend Christmas Eve and Christmas with family, as far as 200 miles away over the years. Christmas in Dixie not only had great words in the song written, by the members of Alabama in 1982, but also made me think of what it was like living in Knoxville, Tennessee, during the Christmases of 2007, 2008 and 2009. This is the kind of song, that will take a listener back in time, to the good old days in the south, when families spent Christmas together. 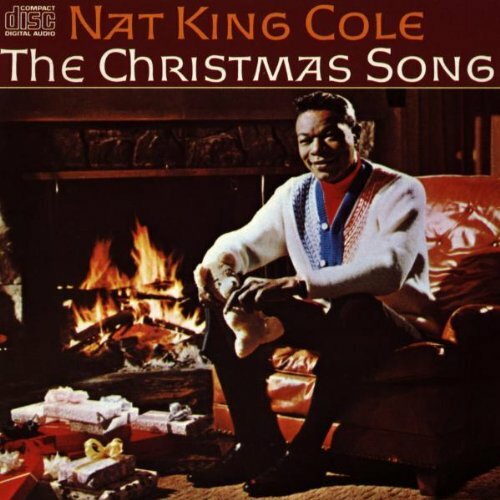 The Christmas Song was first recorded by the Nat King Cole Trio in 1946. This song is special for me, since I was born in 1944 and the song was written that year, by Bob Wells and Mel Torme. It is strange, that Torme wrote the song, but didn’t record it himself till later. The song has been recorded from artists like Trace Adkins, to Justin Bieber, to Garth Brooks, to James Brown, to Glen Campbell, to Frank Sinatra, to Bob Dylan, to New Kids on the Block, to George Strait. My favorite version is by the great Johnny Mathis, who has been recording for 58 years now and is 79 years old. Bobby Helms recorded Jingle Bell Rock in 1957 and it was released in 1958. Brenda Lee later recorded it. This is one song you can almost be sure of hearing, at least once during the Christmas season. It has been recorded numerous times, by artists from many different genres of music, from Alvin and the Chipmunks to Dr. Teeth and the Electric Mayhem. 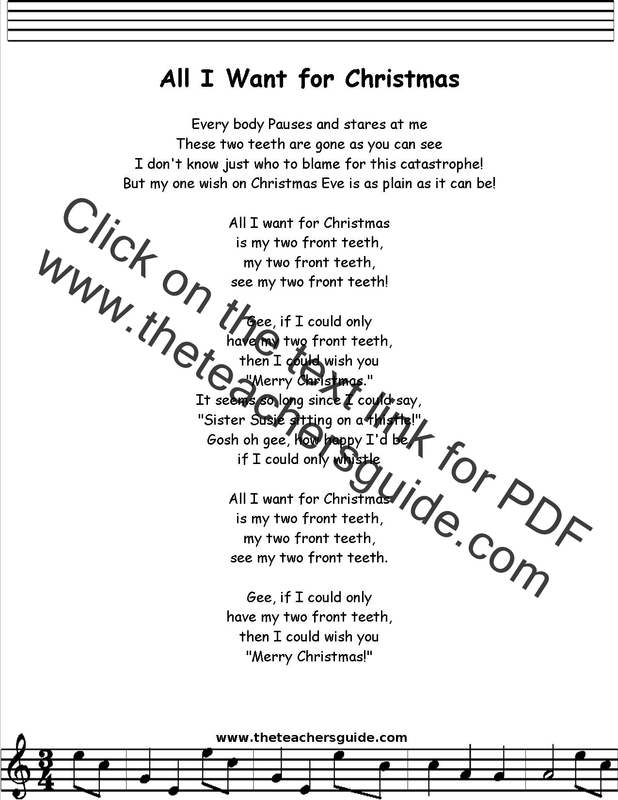 Donald Yetter Gardner wrote the novelty song All I Want For Christmas Is My Two Front Teeth in 1944. He was a second grade teacher, who asked the kids in his class, what they wanted for Christmas, and noticed most of them were missing at least one tooth. It gave him the idea to write the song and he was surprised it became a national hit. Spike Jones and his madcap band the City Slickers were the first to record the song. It wasn’t until 1947, when Spike and his band recorded the song. The song has been recorded by a diverse range of singers from Alvin and the Chipmunks to George Strait. I just can’t imagine George Strait singing this song. The writer Gardner preferred the Nat King Cole version. The song went to #1 twice for Spike Jones and the City Slickers. Jimmy Boyd was 13 years old when he recorded I Saw Mommy Kissing Santa Claus in 1952. 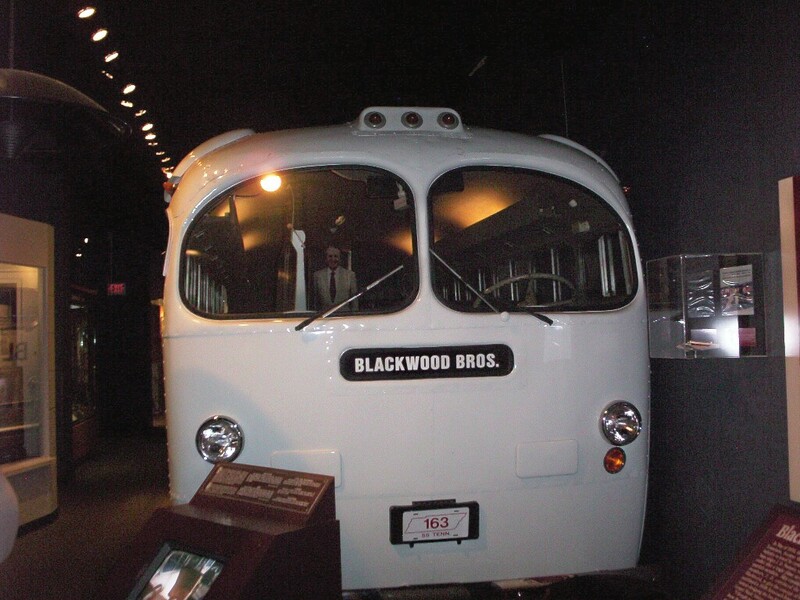 The song went to #1 on the Billboard Singles chart in December of 1952. The song was condemned by the Roman Catholic Church in Boston, until Boyd explained the premise of the song to the Archdiocese and the ban was lifted. Rudolph the Red-Nosed Reindeer was based on the Rudolph the Red-Nosed Reindeer story written for Montgomery Ward. Johnny Marks wrote the song in 1949 and Harry Brannon first sang it on a radio program in November, then . 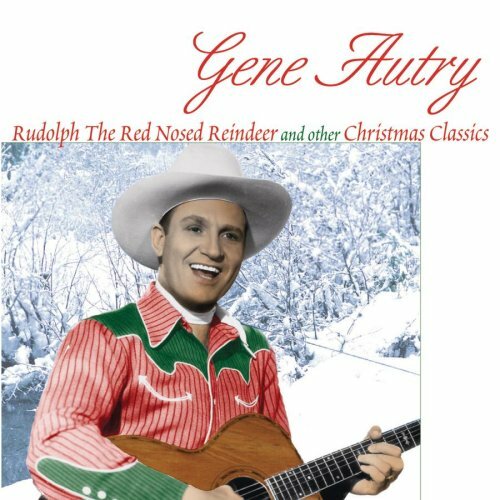 Gene Autry recorded it in December of 1949. The song made history, by becoming the first song to fall completely off the chart, after reaching #1. Bing Crosby recorded the song in 1950 and the song reached #14 on the Billboard chart. Dolly Parton and the Rugrats were two of many singers or groups to record the song over the years. 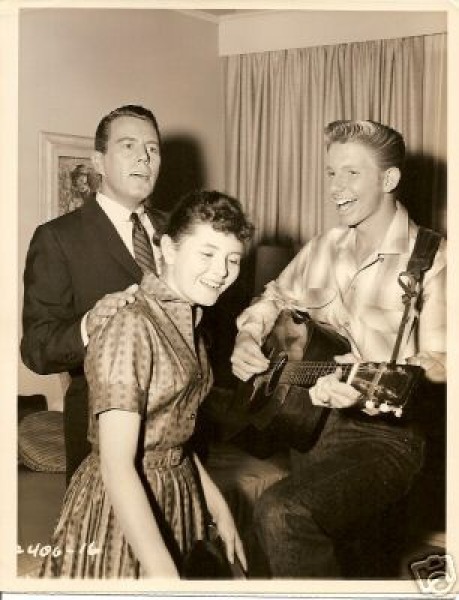 Jimmy Boyd would appear a few years later, in the Bachelor Father television series and is shown the above photo, with John Forsythe and Noreen Corcoran, whose character was his love interest in the show. Adeste Fideles or O Come All Ye Faithful, as it is known in the United States has an unverified history, so there is no known date of it being written, nor is the identity of the writer known. This article explains, why the origin of this so song is so questionable. One thing that is known is that it is one of the most sung songs in churches and also sung by carolers. I know there will be a lot of great songs left out of this article, but time restraints restrict me from writing any longer, since this has taken about three hours to put together. I started work at the Monroe Morning World in April of 1974. They also had an evening paper named the News-Star. The Morning World no longer exists as they merged with the News-Star in 1980. 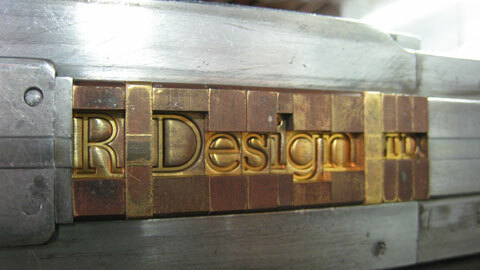 The first day in the composing room was sort of a shock, since the Morning World was still using the hot metal process to produce the paper. The Town Talk had been using cold type composition since 1972, so I had to go back in time and start using hot type again. One night about a week into my employment some of the workers left and began striking. It made for a very long night that night, as we had fewer people to do the work, so it took much longer. The Shreveport Times sent some strike breakers from their plant in Shreveport, to help take up the slack. It was sort of scary, when I drove onto the parking lot one time, with picketers trying to block the driveway. I kept driving and they finally moved out-of-the-way. There was no doubt that strikers were serious, when they pulled over one of the strike breakers from Shreveport on the highway, by using flashing lights. They proceeded to get him out of his vehicle and worked them over. Since I had been there only a week I was afraid some of the strikers would think I was a strike breaker too. The Ewing family which owned both the Monroe papers and the Shreveport Times didn’t give in to the demands of the strikers and the strike ended. Then I would insert the Ludlow stick into the Ludlow Machine which would cast the type in lead and would then proceed to build up Page 1. While living in the Monroe area we got to see Elvis Presley in concert again. 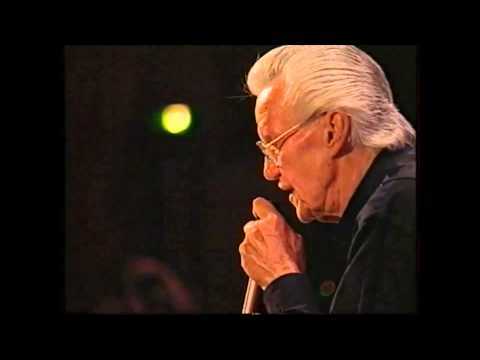 We also saw a concert with the Righteous Brothers and the Hues Corporation. The Hughes Corporation sang their big hit at the time “Don’t Rock the Boat Baby”. Our first apartment in the Monroe area was in the new Shrangri La apartments on Wellerman Road in West Monroe, Louisiana. I had a flat tire on Interstate 20 one night, during my supper time and a state trooper turned on his flashing lights, to warn the other drivers, so I could change the flat tire. The apartment’s rent was $165, which wasn’t that much even in 1974. Knew I was taking a risk moving 100 miles to Monroe for a measly $8 more per week more, than what I made at the Town Talk. However, I was making overtime like crazy. Our work week was 37 and-a-half hours a week, but I worked many more hours than that. I would work 4:30 PM to 1 AM if I didn’t work overtime. However, I almost never got off work at a 1 AM. I would usually go to work at 4:30 PM and then wouldn’t get off work till 6 AM the next morning. Then it got even worse when the composing room superintendent would call about noon and ask me to come in early at 2 PM. So a typical workday would be from 2 PM to 6AM for a 14 hour day. The reason there was so much overtime is that the daytime workers working on the Monroe News-Star weren’t that interested in overtime. We wound up killing out their pages for them, when we came to work, so we would have empty page forms to publish the Monroe Morning World. Then at night we would kill out our own pages, then turn around and start placing ads in pages for the News-Star workers, when they would come to work. What it amounted to was that we were doing most of the work for the day crew, while they just built their pages and went home. I remember working 36 hours of overtime in one Christmas week, which almost equaled my 37.5 regular hours. There was one stretch, where I worked 49 straight days in a row, when the boss kept asking if I wanted to work both my days off. I was off on the 50th day and got sick and not sure it wasn’t from the stress of working so many days in a row. It was normal to get only 6 or 7 hours sleep, then return to work again. Looking back, it is a wonder I survived those two years in Monroe. We moved to Monroe later, so we could be closer to my work and my wife’s work, since we only had one car most of the time there. We moved to the Plantation Apartments off of North 18th Street in Monroe. I remember when the editor thought President Nixon was close to death, so we worked on pages about his life, but all that work was for nothing, as he lived many more years. We wound up throwing all those pages in the garbage. The best memory of our breaks on the loading dock was during the Christmas season, when we could see the buildings in downtown Monroe with their Christmas lights turned on. The Gannett Corporation took over the News-Star the year after I left, so I narrowly avoided working for two Gannett papers, during my years in the newspaper business. 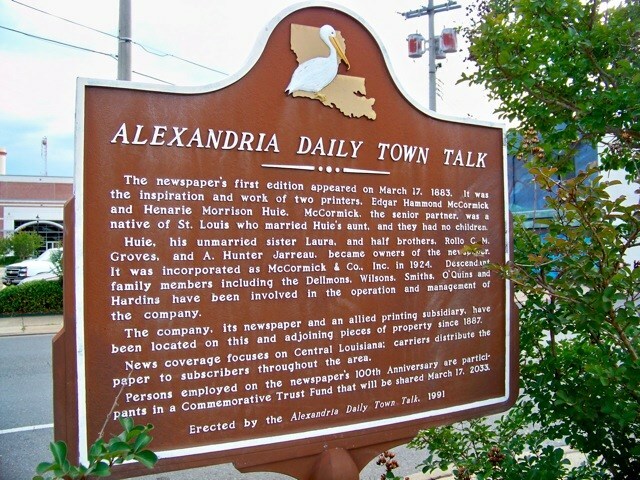 My wife was not happy with her job, plus there were two openings at the Town Talk in the composing room, so I applied to work at Town Talk in March of 1976 again and was hired and would spend the next 28 years at Town Talk before retiring in 2004. I remember the cake being served, when I returned because it was so close to St. Patrick’s Day. Donna Reed, Paul Petersen, Carl Betz and Shelly Fabares shown in a scene from the Donna Reed Show. Donna Reed Show was one of the few family sitcoms, that featured the mother. The show debuted on September 24, 1958 and the last show aired on March 19, 1966. Reed who was Donna Stone in the series was the wife of pediatrician Dr. Alex Stone played by Carl Betz. Paul Petersen who was Jeff Stone and Shelly Fabares portrayed Mary Stone in the series. Donna Reed was born Donnabelle Mullenger on January 27, 1921 in Denison, Iowa. Her first movie role was in 1941, when she appeared in The Getaway. She would act in two other films that year. 1942 was a busy year for Reed, since she appeared in seven movies that year including The Courtship of Andy Hardy. She is remembered for co-starring with James Stewart in It’s A Wonderful Life in 1947, which has become a Christmas classic. Reed would also appear in From Here To Eternity in 1953. She won an Academy Award for Best Supporting Actress in the movie. Her first television appearance was in an episode of Ford Television Theatre in 1954. Reed appeared in six more movies and made appearances in three television shows, before she took the role of Donna Stone in the Donna Reed Show. After the show ran from 1958-1966 she wouldn’t appear on-screen again, till 1979 when she appeared in a TV movie, which was named The Best Place To Be. Reed was last seen as Ellie Ewing in Dallas, in 1984 and 1985 before her death in 1986. Donna Reed died of pancreatic cancer on January 14, 1986 at the age of 64 in Beverly Hills, California. Carl Lawrence Betz was born on March 9, 1921 in Pittsburgh, Pennsylvania. Betz portrayed Collie Jordan on the Love of Life soap opera in 1951 in his first television role. Betz would appear in his first credited movie The President’s Lady in 1953. He then appeared in five more movies in 1953, then wouldn’t appear in another movie till 1966, when he appeared with Elvis Presley in Spinout. He had barely finished his last episode of the Donna Reed Show, when he was in the cast of Judd For The Defense from 1967-1969. He appeared in 50 episodes of the series as Clinton Judd. Betz appeared mostly in various television series till the end of 1977. Betz also died of cancer on January 18, 1978 in Los Angeles, California at the age of 56. Paul Petersen was born as William Paul Petersen on September 23, 1945, in Glendale, California. Petersen recorded a song She Can’t Find Her Keys during the time he was on the Donna Reed Show. 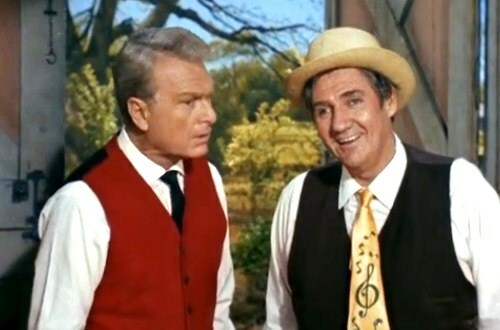 Petersen made his first television appearance at the age of 11 on Walt Disney’s Wonderful World of Color in 1956 in the Along the Oregon Trail episode. He would appear in all 275 episodes of the Donna Reed Show and was the only one besides Donna Reed to appear in all the episodes filmed. He appeared in 83 more episodes than Shelley Fabares, who played his sister Mary. 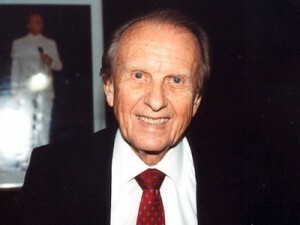 Peterson appeared in numerous television series, after the show ended its run in 1966. He will be seen in The Executive which is currently filming and Kathy Garver, who portrayed Cissy on Family Affair will also be in the cast. The role of Jeff Stone later would cause Petersen much anguish, because he wasn’t being taken seriously, when looking for more mature roles. He had been an original Mousketeer on the Mickey Mouse Club at the age of 8 in 1955. Petersen would start an organization named A Minor Consideration, which was a child actor support group. When he couldn’t find work as an actor Mickey Rooney talked him into attending college. Petersen was not happy when actor Bill Bixby took his wife: [on losing wife Brenda Benet to Bill Bixby] I was so angry I couldn’t see straight, and what doubled this pain was that Bill was really visible. You know, he was going great guns and I was going in the toilet. He has reached out to many former child stars, who needed emotional support from someone like him, who had been under the same stress as they were experiencing. It is hard to believe that the teenage Jeff Stone will be 70 next year. Shelly Fabares was born as Michele Marie Fabares on January 19, 1944 in Santa Monica, California. Fabares has 90 acting credits in her acting resume and continued to receive many acting roles, after Donna Reed Show had left the air. 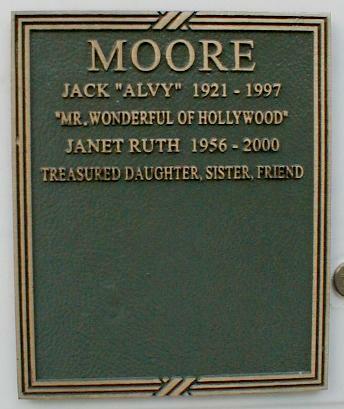 She was in her first movie The Girl Rush in 1955 and also acted in three television series that year. Her first major role was when she appeared in 15 episodes of Walt Disney Presents: Annette in 1958. That same year would see her appear in her first episode of the Donna Reed Show. She went straight from making her last appearance on the show in 1965 to appearing in three Elvis Presley movies. She appeared with Elvis in Girl Happy in 1965, Spinout in 1966, and was also in his 1967 movie Clambake. Then she appeared in 47 episodes of the Brian Keith Show which aired from 1974-1976. Fabares would appear in 27 episodes of The Practice 1976-1977. She would appear in One Day At A Time 1978-1984 in 23 episodes. Coach would be her next big show, in which she appeared in all 198 episodes from 1989-1997. Since then Fabares has acted very infrequently with mostly voice roles since then. Her only acting job since 1997 was Playing to Win: A Moment of Truth Movie (TV Movie) which was shown in 1998, so she has not been seen on a television or movie screen in the last 16 years. She is the niece of actress/comedienne Nanette Fabray who is now 93 years old. Fabares would have a #1 Billboard hit with Johnny Angel. One of her major movie roles was in Brian’s Song 1971 when she appeared as the wife of Brian Piccolo. Carl Betz portrayed her father on both the Donna Reed Show and in the movie Spinout.